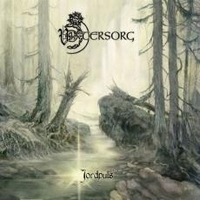 Vintersorg is a progressive folk / Viking metal band from Sweden and Jordpuls is the band's seventh full-length. I have never listened to Vintersorg before, but I'd heard good things so I was looking forward to this album. Apparently on this album Vintersorg has returned to an earlier style where the folk and Viking elements play a bigger part. Jordpuls means 'Earth Pulse' in English and concept of each song on the album is closely linked to this title, whether singing of cosmic cycles, as in Världsalltets Fanfar or about the nature of wind in Vindögat. The music that accompanies this strong them is drawn from many sub genres of metal with lots of folk melodies and instrumentation combined with epic Bathory-esque Viking metal, a dose of grim black metal and of course the progressive elements for which Vintersorg is renowned. The vocals are the key element for me on this album. Vintersorg has a very powerful growl that he uses to good effect when the music requires it, however, the majority of vocals on Jordpuls are in a clean style. It is the clean singing that really drags the album down for me, simply because I don't like 's voice! If the clean vocals had been kept to a minimum I would have enjoyed this album more. As it stands this is a generally quite melodic album that delivers some beautiful soundscapes, its just a shame the clean singing isn't more to my liking. I think those who are already fans of Vintersorg will enjoy this album but its not going to win over any detractors. If you've not heard Vintersorg before I'd recommend heading over to the band's MySpace and checking out the songs before splashing out your hard-earned.